The acreage reporting deadline for spring-seeded crops such as corn, soybeans, rice and cotton is July 16, 2018. 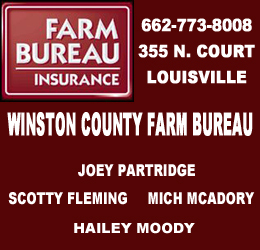 Please contact their office at 662-773-2207 extension 2 to make an appointment to certify your crops. To be eligible for the Agriculture Risk Coverage (ARC) and Price Loss Coverage (PLC) program or a Marketing Assistance Loan (MAL) or Loan Deficiency Payment (LDP), producers must submit an acreage report to account for all cropland on all farms. A temporary restraining order was issued this afternoon by Winston County Chancery Court Judge Edward Fenwick related to the ownership and possession of property in dispute between Louisville's First Methodist Church and the Mississippi Annual Conference of the United Methodist Church (UMC). This order bars UMC from taking possession of/ or exercising control of the property in dispute between the local church and UMC until a hearing on a preliminary injunction can be held on June 6, 2018. On Wednesday, First Methodist Church of Louisville, Inc. and The Mississippi Annual Conference of the United Methodist Church reached an Agreement that led to the issuance of a Temporary Restraining Order by the Chancery Court of Winston County. The Order holds in abeyance directives from the Bishop and District Superintendent that left most of the church’s membership having to find temporary space to hold worship services and Sunday School this past Sunday. Earlier this year 97% of the Church members attending a church conference voted to leave the denomination. Six members voted to remain affiliated with the United Methodist Church. The Conference also removed the church’s pastor, Rev. Mike Childs, and gave him and his family 30 days to vacate the parsonage which is provided by the church. The conference has also indicated its plans to seize control of the church’s bank accounts and savings. Under Mississippi law, the Temporary Restraining Order can only remain in place for a maximum of 10 days. Consequently, a hearing has been set for Wednesday, June 6 to hear arguments relating to converting the temporary order to a permanent order. At that hearing both First Methodist and the Mississippi Conference of the United Methodist Church will be allowed to present arguments relevant to the issues. Scott R. Hendrix, attorney for First Methodist, expressed his hopes that the Court will then convert its temporary order to a permanent injunction allowing the overwhelming majority of the church members to worship in the building they and their ancestors have paid for and built and to do so until formal litigation can resolve the dispute. “There are numerous legal issues involved in this dispute and, before the congregants of First Methodist Church are evicted by the Conference, they deserve to have their day in court,” Hendrix said. The Temporary Restraining Order does not resolve any of those issues on a permanent basis and the arguments presented represent only one side of the legal argument. However, next Sunday church members and their children will be assured of having a place to worship and attend Sunday Sunday School. And, we hope that will continue beyond this next Sunday so that church members can celebrate weddings and funerals, operate its kindergarten, send its youth to summer camps, and all other church activities while the legal arguments regarding church assets are heard and decided by a court,” Hendrix said. An ecumenical, community-wide prayer service on the Main Street steps of the church in downtown Louisville has been planned for Thursday, June 7. A request for a restraining order and injunction by the First Methodist Church of Louisville against the Mississippi Annual Conference of the United Methodist Church (UMC) was filed yesterday, Tuesday, May 29 in the Chancery Court of Winston County. As previously reported, members of the local church voted in March to separate from the Conference. (see original story at http://www.winwebnews.com/2018/05/members-of-louisvilles-first-methodist.html). In a May 23 meeting, the UMC informed Louisville members of its intent to retain control of the church property through the use of a “Trust Clause” in the United Methodist Church’s Book of Discipline which constitutes the doctrine of the UMC. This in effect, left members without facilities and funds to hold and conduct church services and business. First Methodist of Louisville seeks to prevent the implementation of the Trust Clause, the loss of possession of the church property and its bank accounts and funds until the matter can be addressed through legal means. An emergency session of Chancery Court is expected to be held sometime today to address the issue. WWN will provide updates as information becomes available. Charisma Edwards won her 3rd Taekwondo competition in Little Rock, AR, Saturday, May 5, 2018. She won 1st Place in Sparring in the IntermediateTaekwondo Category. She was formerly selected to become a member of the Region One competition team for the United Taekwondo Alliance (UTA). As a member of this team she will be given the opportunity to represent this region at the 2018 United Taekwondo alliance National competition in Bossier City, Louisiana July 26-28, 2018. Master instructor and head of the Panthers Taekwondo School, Willie D. Matthews was also formerly selected to become a member of the Region One competition team for the United Taekwondo Alliance (UTA). As a member of this team he will be given the opportunity to represent this region at the 2018 United Taekwondo alliance National competition in Bossier City, Louisiana July 26-28, 2018. He will soon try out for his 5th Degree Black Belt. The Panthers Taekwondo School holds classes at the Louisville Coliseum on Mondays, Tuesdays and Thursday. The registration fee is $25. with openings for children 5 years and up. There are self defense classes for adults also. The classes are from 3:30 p.m. – 5:30 p.m. for children. The time for adults is 5:30 – 6:30 p.m. The Panthers Taekwondo School is in partnership with the Friends of Dean Park, Inc., a non-profit Charitable Organization. 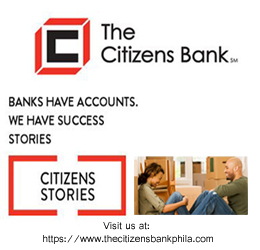 They will have a booth at Juneteenth Day, June 2, 2018 at Dean Park to raise funds and accept donations for their expenses to the National Competition in July. There will be Taekwondo demonstrations at the Juneteenth Day Festival. If you would like to be a sponsor, please contact Willie D. Matthews, 662.705-8656 or Elmetra Patterson, 510.672-2106. The Hamptons front yard is the focal point of their landscaping. It is very attractive and makes their home inviting and appealing with a beautiful seat for two on the porch with beautiful pillows that match the color scheme of the landscaping and the house. They have created outdoor space for party guest to sit, relax and enjoy refreshments and company in several places in the landscaping. When asked how she got into gardening, Evangelist Hampton stated, “My deceased sister, Dianne Haynes encouraged me to garden. She loved flowers and gave me some ideas on how to landscape my yard. I wish she could see my yard now which I feel is pretty.” Evangelist Hampton retired from Bancorp South Bank after 34 years and became deeply involved in landscaping their property. Unfortunately, that work was destroyed but she was determined to redo it again. She started with a few crepe myrtles that were salvaged from the tornado. She now has redbud trees, various colors of crepe myrtles, Bradford Pear Trees, and white Rose of Sharon Trees. 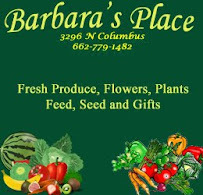 She also has ‘New Gold’ Lantana, Purple Heart vine, drift roses, variegated monkey grass, lorepetalum and ligustrum bushes, and many many daylilies and knock out roses. Gold, purple and red are used as the major color scheme. The ‘New Gold’ lantana really stands out around most of the house. She was saddened that on the north side of their home, the lantern died when the temperature was in the teens this past winter. They hope to border their property with redbud, Bradford Pear trees and crepe myrtles. According to Evangelist Hampton, “Gardening is a lot of work but it is very rewarding and is good therapy. I love the outdoors.” The Hamptons are the parents of three sons, two daughters and eight grandchildren. It is the purpose of the Winston County Master Gardeners Association (WCMGA): 1) to assist the Extension Service of Mississippi State University to accomplish its mission by providing easily accessible information about residential horticultural practices through educational presentations and use of the media; and 2) to provide a volunteer organization that completes community service projects which further the community’s understanding of and appreciation for the joy of gardening. For more information call the Extension Office at 662.773-3091. Committed to the quality of its products, H-E-B is voluntarily issuing an all-store precautionary recall for H-E-B Ode to Olives Sliced Salad Olives in 10-ounce glass jars with a best by date of Nov. 3, 2019 due to the possible presence of glass in the product. There have been no injuries reported due to this incident, which customers reported to H-E-B. All products related to this recall were sold at our Texas stores and have been removed from store shelves. H-E-B is working closely with its H-E-B Ode to Olives Sliced Salad Olivesmanufacturer to ensure all safety measures are being taken when manufacturing the product. Church of Louisville, Mississippi voted to withdraw the congregation's membership from the United Methodist Church (UMC) denomination. Members based their decision upon a number of issues including the lack of enforcement of the Conference's Discipline on homosexual leadership roles in the UMC and abortion issues that they believed were funded by the UMC. First United in Louisville is a 180-year-old congregation. In the vote held under the guidelines provided by UMC at that time, members voted 175-6 to begin the process of removing the church from the denomination. Louisville's church is not the first to vote to separate from UMC recently as a result of these issues. In at least two previous cases, negotiations with UMC led to the congregation attaining ownership of the church property. Methodist church properties, like many other large denominations are held as trusts and are not directly owned by the local church board. On Wednesday, May 23, a church conference was held in Louisville with UMC leaders including James Swanson, the Bishop of the Mississippi Conference of the UMC. As a result of that meeting, UMC effectively stated that the church property in Louisville would remain as a United Methodist property and appointed a new pastor against the wishes of the existing congregation. Services as a United Methodist Church will be held on Sunday. Long time pastor at First Louisville, Reverend Mike Childs surrendered his credentials at that time. A legal battle concerning the property is expected. 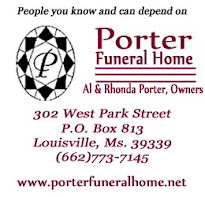 Members who withdrew from UMC are expected to hold upcoming Sunday services in the chapel of Porter Funeral Home in Louisville. As a result of the decision, UMC will assume responsibility for the more than one million dollar debt due to construction and remodeling in recent years and the maintenance and ongoing operation of the facilities. "There has been much confusion and many questions about what is going on at First United Methodist in Louisville. Many of you know that, since last August, First United Methodist Church has been seeking to withdraw from the United Methodist Church for reasons of conscience. The congregation carefully completed all the steps that the Bishop gave us. This was accomplished at a significant cost, even though the Conference changed the rules during the process more than once. In the meantime, First Methodist Church, Inc., of Louisville (not a United Methodist Church) was organized in preparation for withdrawal from the UMC. The congregation has every intention of being a Christ-centered Methodist Congregation, but not a United Methodist Congregation. A Church Conference was held with a “Membership Affirmation” that gave every person the choice of remaining a member First United Methodist Church or withdrawing their membership from the UMC and transferring their membership to the church of their choice. At the Church Conference, 175 members voted to withdraw their membership from the First United Methodist Church, and transfer their membership to First Methodist Church. Only 6 members voted to remain United Methodist. This was followed by two months of silence from the Conference officials. Then the bishop asked to meet with the pastor and four of our church officers this past Wednesday. We expected some negotiations concerning a settlement of property issues. However, the bishop dismissed the pastor. He declared that he accepted the withdrawal and transfer of the 175 members, and that those few remaining now made up the church. He appointed Dr. Carl Grubbs as interim pastor. He gave the present pastor 30 days to vacate the church parsonage. Second, as I told Bishop Swanson and the Conference officials, we will not do anything immoral or illegal, but we will fight for the church property using every legal means available to us, and we expect to be successful. I also informed the bishop that their next payment on the debt of more than a million dollars is June 1. Third, our attorney is already at work to seek relief through the courts. We hope to be back in possession of our church building very soon. In the meantime, First Methodist Church of Louisville will hold its 11:00 am service this Sunday in the Porter Funeral Home Chapel. It is a holiday weekend, but we hope to have a good turnout and worship service. We are not discouraged. If God be for us, who can be against us? All that has happened has served to unite our congregation. What our opponents meant for our harm, God has used for our good. There has been a tremendous outpouring of support from the Louisville Community. We thank our fellow Christians in the community who have expressed their love and support. There are great days ahead for First Methodist Church. Do not be overcome by evil, but overcome evil with good." Now, the 11-year-old is showing her own livestock and participating in various 4-H activities through the Extension Service in Tippah County.“Lauren is a third-generation 4-H’er,” explained her mother, Leigh Bryant. 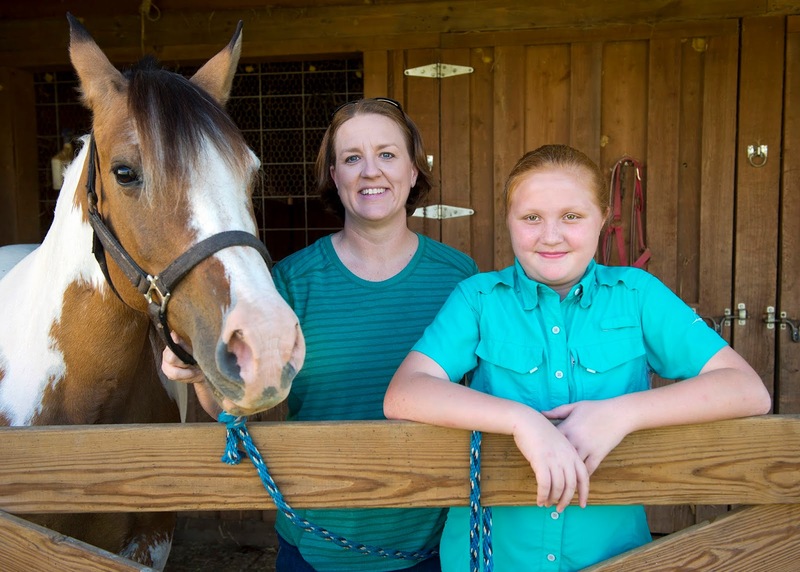 “Her granddad and her daddy were both 4-H’ers.”At 8 years old, Lauren Bryant began showing dairy cows. She also shows chickens and participates in poultry judging, shooting sports, and 4-H Project Achievement Day. 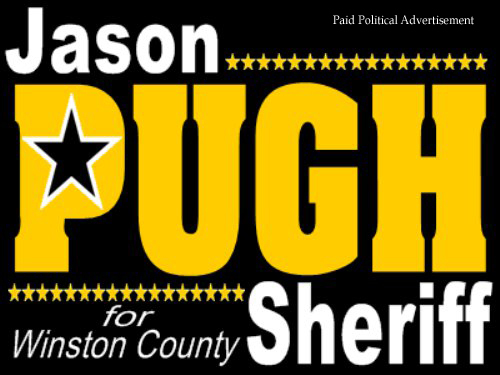 We just wanted to take this opportunity to thank the folks in Winston County, the surrounding area and all who now live outside the area with Winston County ties. Earlier this year, we crossed the threshold of 5 million page views since we began this journey. We are now approaching 6 million visitors to our web pages. What began as a simple idea to provide a common place to view obituaries and local events has turned into much more. The support from our sponsors, the public, our schools, the City of Louisville and our county officials has been integral in our success. We hope to continue to serve our communities and thank you for your support. the festival will have a variety of events and entertainment available for young and old. 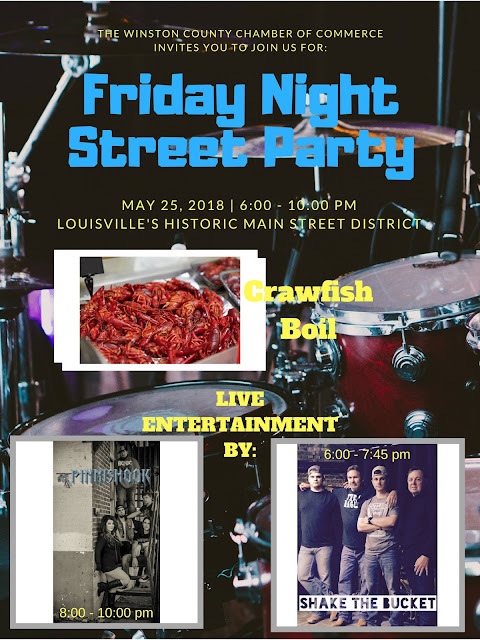 The weekend will kick off with a Friday night Street party featuring two bands: Shake the Bucket and Pinnishook. The music will begin around 6 p.m. on Main Street and boiled crawfish will be available. For the younger ones, a carnival will be available starting Friday night and through the day on Saturday. Saturday morning will kick off early as the Junior Auxiliary of Louisville will host a 5K and Fun Run. Runners can pre-register or register the morning of the race. Races begin at 8:30 a.m. near the intersection of Main and Columbus. And as always, the Red Hills Car Show will be on Saturday in conjunction with the festival. The show will be held at the First Baptist Church parking lot. The Red Hills Car Show has become known as one of the larger shows in our area and usually features more than 100 vehicles. Participants can sign up from 8 a.m. to 11 a.m. and judging begins at 11 a.m. in more than 30 categories. 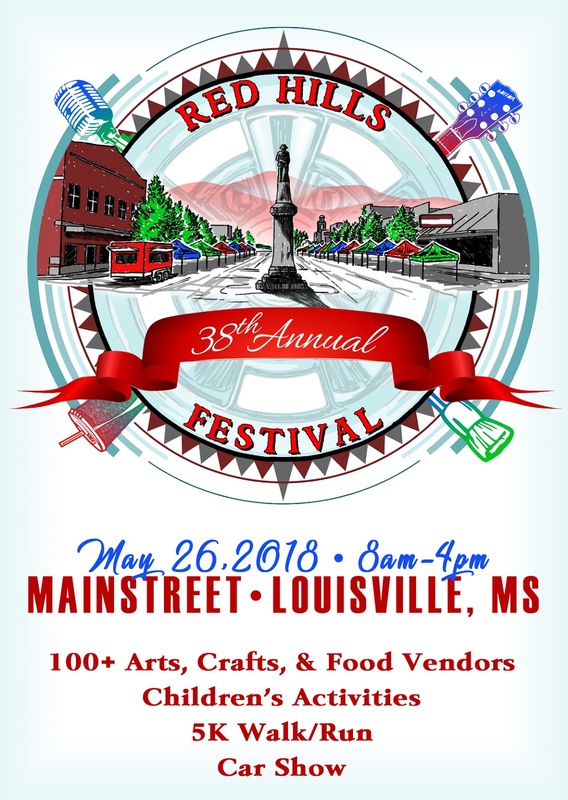 The festival itself will be held once again on Main Street with a variety of vendors including crafts, artwork and food. There will be entertainment and announcements throughout the day. And always as a special treat, Mrs. Aline Haynes will be cooking once again, serving lunch from 11 a.m. until 4 p.m. behind the Winston County Courthouse. Vendors who are still interested in participating in the festival or those who wish to include a car in the Red Hills Car Show should contact the Chamber of Commerce at 662-773-3921. Those who are interested in the 5K and Fun Run should contact Amanda Triplett at 662-705-0042. 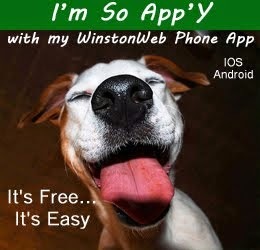 Those interested can also stop by the Winston County Chamber of Commerce on Park Street in Louisville. A possible suspect in at least one case of theft in Winston County is now in custody. Raymanuel Seales of Neshoba County turned himself in to authorities in that county earlier today. 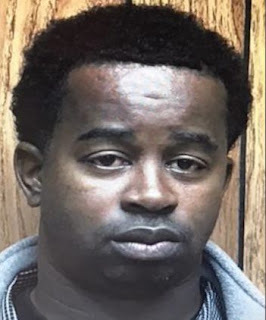 Authorities had been searching for Seales as the possible driver of the vehicle videotaped near the time of the theft of a zero turn mower from the Noxapater Attendance Center last week. Law enforcement seek to question Seales in other possible cases in Winston and surrounding counties. The investigation continues at this time. After a brief respite, thieves have returned to the area as another lawnmower was stolen on Tuesday night. The mower similar to the one shown below was stolen from the Noxapater Attendance Center on the evening of May 15th. Survelliance footage from a security video shows a white SUV pulling a trailer in the area near the time of the theft. 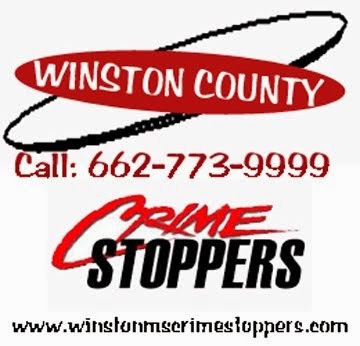 The theft and another on the same night follow a pattern of previous burglaries across Winston and other surrounding counties. If you have any information on this vehicle or the stolen items call Winston County Crime Stoppers at 662-773-9999 or the Winston County Sheriff's office at 662-773-5881. 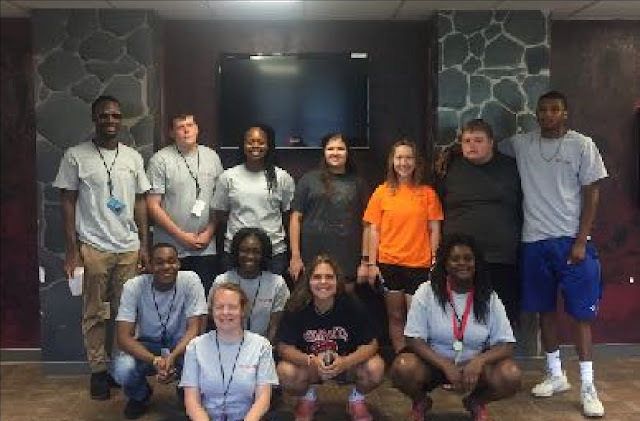 Registering for fall 2018 classes is among the activities new and transfer students will participate in when East Central Community College holds its Warrior Wednesday Orientation session June 6 on the Decatur campus. The Warrior Wednesday Orientation will be from 9 a.m. to Noon beginning in the Vickers Fine Arts Center. New students can begin signing in for the session at 8:30 a.m.
Those participating will be welcomed by ECCC President Dr. Billy Stewart, view a virtual campus tour, and receive information on financial aid, admissions, housing and student activities, and discipline and security. Following a tutorial on registering for classes using the college’s myEC portal, new students will move to their programs of study to be advised by faculty and register for fall classes. Following registration, students will tour the campus. New students will be able to acquire their student IDs and parking permits while on the tour. Students should bring a photo ID and their vehicle license tag number with them to Orientation. In order to attend the Orientation and register for fall term classes, students must complete three steps in admissions: ECCC Application for Admission (available online at www.eccc.edu); ACT or Accuplacer scores, which will be used for placement in English and mathematics courses; and high school/college transcripts. Transfer students must have all college transcripts on file before they can register for classes. Students who have already satisfied all three steps in the admissions process will have received information from the Office of Admissions on how to register for the Orientation session on June 6. Students attending Warrior Wednesday must RSVP in advance using the myEC link at www.eccc.edu. Fall 2018 on-campus classes begin on Monday, Aug. 13. New students who have questions about their admissions status should contact the Office of Admissions at shollings@eccc.edu or 601-635-6207. For more information about the Warrior Wednesday Orientation on June 6, contact Dr. Randall Lee, vice president for student services, at 601-635-6204 or rlee@eccc.edu. WASHINGTON - U.S. Senator Roger Wicker, R-Miss., Chairman of the Senate Commerce Subcommittee on Communications, Technology, Innovation, and the Internet, yesterday chaired a hearing to consider the state of the mobile application economy and ways for Congress to support the development of the industry. Reed noted that 27.8 percent of all Mississippiansdo not have access to broadband internet, including more than 50 percent of the population in rural areas. 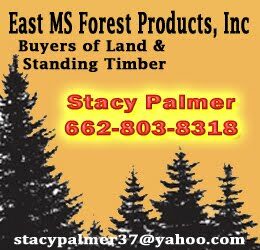 Videos include Senator Wicker's opening statement & Forster's testimony. May is Mental Health Awareness month. Andrew Levine with Community Counseling (CC) met with Winston County Supervisors recently and provided info on the local budget and needs for mental health services in Winston County. Levine indicated that CC is currently working with 597 active clients in the county. Noxapater and Nanih Waiya schools will not have slow pitch softball teams for the upcoming school year. The schools will replace slow pitch with girls’ volleyball. Interest in volleyball and low participation in slow pitch prompted the change. The schools will not be officially sanctioned by the MHSAA for the first year but should have local area schools to compete with. The LMSD Board discussed the need for additional security officers for the school district in their meeting on Monday night. Additional officers for the Noxapater and Nanih Waiya Attendance Centers were of concern to board members. School administration indicated that up to 3 additional security officers were needed at Nanih Waiya, Noxapater and Eiland Middle School but there were currently no funds in the budget. The issue was tabled until further information on possible federal funds became available. The City of Louisville has begun work on an annexation study with Slaughter and Associates for future plans by the city. No annexation efforts are expected in the next few years but the plan is being developed to project the needs and best use requirements for the future. Congratulations to the Grace Christian School Class of 2018. Graduation was on Thursday, May 10 at the school. They received a total of $240,000.00 in scholarships from Mississippi State University, MS Scholars, Ride for Carmen, EMCC, The Way Community Church, Star Student, Mississippi Eminent Scholarship Grant. and Distinguished Young Woman. On Saturday, May 12, the Noxapater Special Olympics team competed in the State Games at Keesler Air Force Base in Biloxi. Noxapater brought back 2 gold, 2 silver, and 2 bronze metals. The Yak committee attended and helped cheer on the athletes in each of their events. Noxapater school students and staff treated them to Dinner at Golden Corral on Friday and Shaggy’s on Sunday. Thank you for all of your support for these athletes to be able to compete. 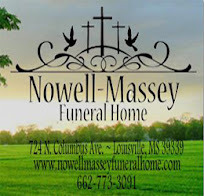 Donations for next year's event can be made through the Noxapater Attendance Center in care of Tracy Jackson. maintenance. Hydrant maintenance will be for the most part conducted between the hours of 7:00 am to 5:00 pm, Monday through Saturday although there may be some occasions where personnel will be required to work later in the evening. Please be mindful of our personnel when approaching the fire department vehicles on the side of the road. Residents may notice some temporary discoloration in the water. The discoloration of water is not harmful, and is the result of sediment that is always present in waterlines being “stirred up” during hydrant testing. As part of testing procedures, the Fire Department will flow each hydrant until the water is clear, however smaller water lines that lead to each house or business may still have cloudy water. If you notice discolored water it may be remedied by flowing water from your faucets, and a cycle through your washing machine until it is clear. Fire hydrant maintenance is important in order to ensure the City has properly working fire hydrants. The hydrants are inspected, flowed to check for adequate water flow, and cleaned around to ensure there is enough clearance for operation of the hydrant. the Mississippi State Rating Bureau evaluates when an audit of the city’s fire protection is completed. The City of Louisville currently has a fire rating of 7 with 1 being the highest, or best, and 10 being the lowest, or least desirable. Simply stated conducting these hydrant inspections, and maintenance assists in keeping property insurance low, and could possibly help in lowering insurance cost at the same time. Also fire hydrant flushing helps to insure that your firefighters are knowledgeable about the general water volumes available for firefighting operations and whether there are any major flow changes since last year’s test. Hydrant maintenance is critical to fire suppression and the protection of life and property. If you have any questions regarding hydrant maintenance, and inspections feel free to contact The City of Louisville Fire Department at 662-773-9402.